Ancient yew tree, originally uploaded by WordRidden. Have you ever noticed that there seems to be a connection between old Yew trees and churches in England? Well, here is another example of an old Yew tree in the church yard of St. Mary & St. Peter´s in Wilmington. 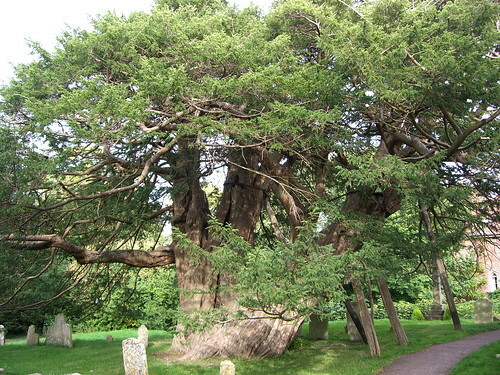 The tree is estimated to be over 1,600 years old, which means that it predates the church by a good many years.